It all starts with Contacts. This module is literally the backbone of the software. Purposely designed so you only enter data once and then it’s used consistently throughout CPApp. Also on purpose is the fact that all users have access to it, so it can be updated on the fly, so anyone can update a client’s new address after talking to them on the phone, for example. What is entered here is used for Timesheets, the Due Date Tracker, Passwords… everything. Adding a Contact is pretty straight forward but Contact Tags, Contact Relations, and Logo are all worth mentioning here. 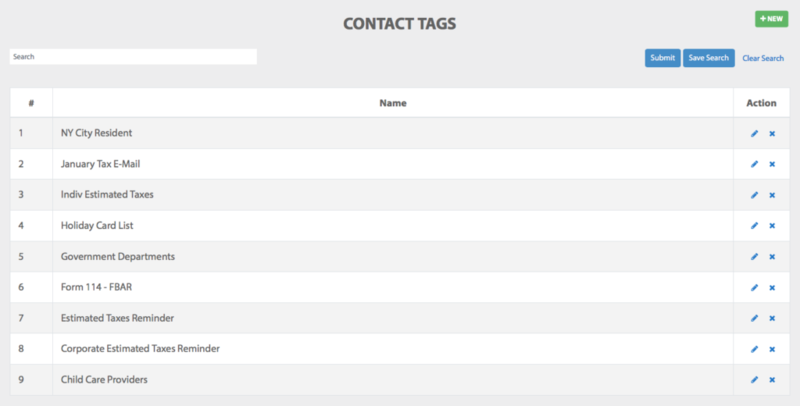 Contact Tags are an extremely useful feature that enables you to create categories of contacts. For example, you may create one for “Estimated Taxes” so an email reminder can be sent automatically to everyone marked with that tag reminding them to pay their balances due by the 15th. You can also set one for your Holiday card List, so you can print labels to everyone who should get an annual card in seconds… as opposed to hours, like it used to take us! Contact Tags can be found under the Admin icon. Contact Relations is a bit unique to CPApp. Ever have to try and think of your client’s lawyer who you spoke to two years ago? Do you have to go searching for the name in old emails and workpapers? No more. 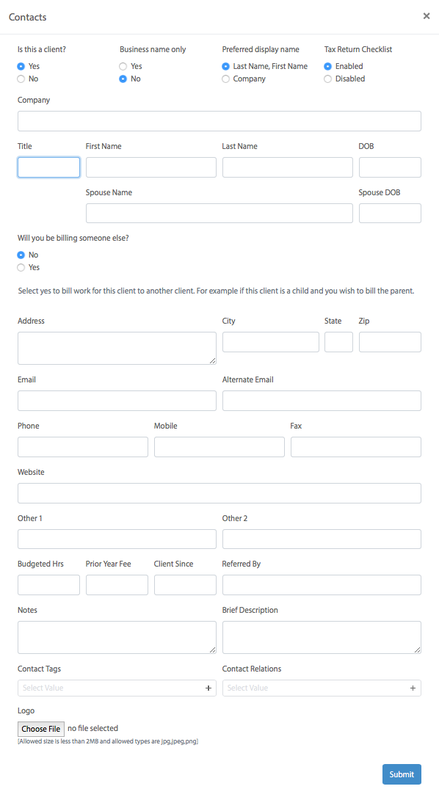 Simply mark the contact with the “Relation” and you can call up everyone who is Related to your client! 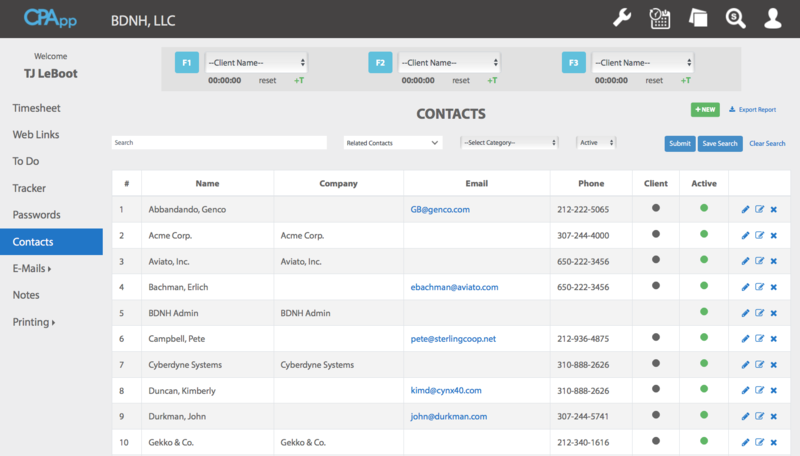 Works great to help find their kids, employees and staff, trusted advisors of your client, etc. Logo is where you upload a client’s business logo, which can be used on Report covers, etc.